Welcome to the Metro Alliance of Independent Insurance Agents! 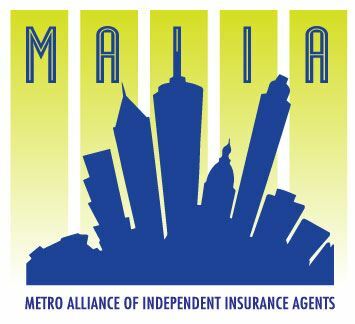 The MAIIA is an experienced group of local agents, affiliates and vendors who meet monthly to learn and grow in the insurance industry. If you are an insurance agent in Atlanta, this is your place to become part of something great. Keep reading to see how we stand out from the crowd. At MAIIA, we provide excellent, quality, continuing education that is as informative, interesting and current. We strive to bring the best speakers to provide insight on the most up-to-date industry hot topics. This is continuing education for those who are looking for an educational experience. Novice or veteran, you will learn something new! MAIIA also provides a unique networking opportunity with some of the best carriers and vendors in the industry, all of whom are present and eager to engage. We provide a lively and fun environment to meet other agents and get to know your peers and partners. Relationships are forged over monthly CE luncheons and events that can last a lifetime and provide you with an edge over agents who do not have such established connections. Our exclusive and local setting is conducive to recognition and acknowledgement of the ideas and concerns of independent agents in the metro area. The needs of the metro agent are unique and different than the needs of other agents around the state. MAIIA addresses the needs of the metro agent and their particular concerns. We bring in local representatives to our legislative luncheons to talk about the pressing issues and opportunities right in your backyard. Our carrier and vendor partners are local and work with the local agents. The people you meet at MAIIA Chapter Meetings are the people who can effect change in your professional life--and even personal life! Join us for monthly programs featuring a networking reception and informative industry, legislative expert speakers as well as frequent CE courses. The year kicks off in September! Other key monthly meetings include the annual holiday luncheon in December, a full-day CE event in March, and the yearly legislative luncheon with current Georgia legislators in April. The year also features a Member Appreciation event! enable its members to collectively voice their convictions on issues of concern to them, to the buyers of insurance products, or to the general public.